Wonderful in Westwood! Priced to Go! 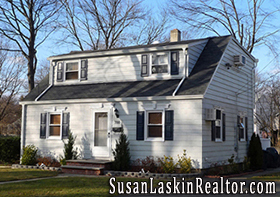 72 Bryant Place in Westwood ($458,950!) is a fantastic, updated & expanded Nantucket Colonial on an exquisite and deep lot in a beautiful neighborhood w/ close proximity to the picturesque Westwood town center. Inside you find a large Family Room addition off the Formal Dining Room, a Sun Room off the Formal Living Room w/ hardwood floors & a wood burning fireplace, an updated Eat in Kitchen w/ beautiful wood cabinetry, granite counters, an under mount stainless sink & beautiful backsplash, and a Breakfast Nook w/ large bay window. There is a Main Level Bedroom w/ beautiful updated Main Floor Bath and two additional Bedrooms and an updated bath found upstairs. With a paver patio, very custom look and a one car detached garage, this home is a find! 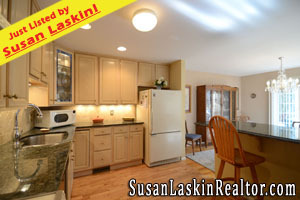 Take a Virtual Tour, then call me on my cell for your private showing! 201-615-5353. 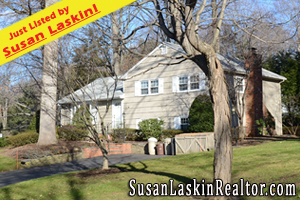 Looking for more Westwood NJ Real Estate? Browse through my Feature Homes! Some incredible homes across the wonderful Bergen County towns. Westwood NJ Real Estate - Upscale & Magnificent! ($648,950!) An incredible opportunity to own this custom built home in Westwood, New Jersey, the hub of the Pascack Valley! 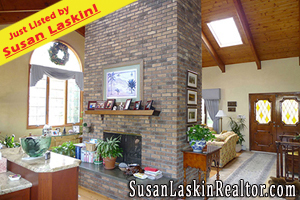 Truly remarkable w/ soaring ceilings, 2 dual brick fireplaces, skylights & more! The custom Kitchen boasts wood cabinety, granite counters, stainless appliances and a breakfast bar. Formal Dining Room opens to the huge rear deck that overlooks the magnificent grounds & paver patio. Master Suite w/ Master Bath! Learn more about Westwood, New Jersey Real Estate! Browse through my Featured Listings! 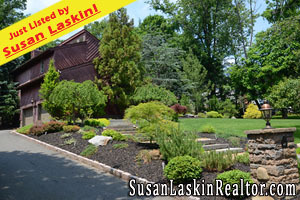 Some incredible homes in Westwood & other wonderful Bergen County, New Jersey towns! Top Ten Home Buying Mistakes! My April Real Estate Newsletter has arrived and it’s filled with wonderful information for both Buyers & Sellers! This month’s topics include “Top Ten Home Buying Mistakes” “Does Moving Up Make Sense” “Tips for Successful Remodeling” & more! Read the entire Newsletter here! 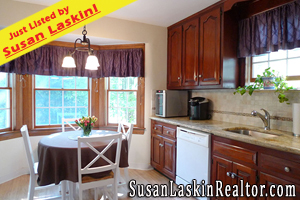 Be sure to browse through my Featured Properties! Some spectacular homes across some wonderful Bergen County, New Jersey towns!